The Vikings were seafaring people who traveled the world and spread their culture through Europe. In doing so they also picked up things from other cultures. 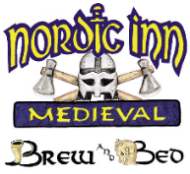 Our menu is varied in celebration of the Vikings rich history. 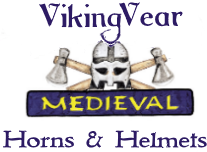 We serve our food with the pride and the robust nature of the Vikings in our Viking attire. 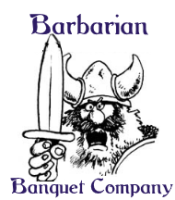 When you choose The Barbarian Banquet Company you have chosen not only grand food service but the gift of memories. From the shores of the British Isles, leeks provide this soup with a nice flavor that makes the beef broth and potatoes go so well together. Creamy tomato soup with just a hint of tangy blue cheese makes this a nice twist on a creamy favorite perfect for those long cold voyages! This curried soup’s name means Peppered water. The addition of chicken and turnips make it a spicy sampler and a great way to start a meal. A full line of classic meaty pasties we take these every where served hot or cold. Barley mince pies, pork pies, and steak pies are our choices. This savory dip is easily spread over crackers, with the sweet and tart taste of the apple blending nicely with the smoky flavors of the fish..
A classic dish from the towns in whales, this strong English cheese melts in with the flavors of baked pears. Little bits of a savory blending, that these two veggies make perfect. Served in a French style pastry baked to perfection. Toasted shrimp with a light breading that is not fried. We bake these little beauties to perfection the serve them up with some cocktail sauce. A true find as we partner smoked salmon with horseradish mixed yogurt this light salad is the perfect opener to any of our meals. All served on a bed of fresh greens. A combination of great fresh veggies, and sweet cooked tubers in a creamy sauce of herbs and tangy onions served on a bed of fresh greens. Marinated flank steak seared and sliced draped over a pile of fresh greens topped with pickled peppers. Seasoned Elk meat surrounded with carrots, parsnips, potatoes, and rutabagas, all roasted together giving a great taste to all the ingredients. We can substitute Venison, Pork, or Beef for the Elk. The hearty taste of mushrooms, in a thick and rich sauce coats this prized catch of fowl perfectly served with roasted potatoes and asparagus. Chicken or Turkey can take the place of the pheasant in this dish. Deer meat paired with select vegetables, and a crisp lingonberry sauce, topped with mashed potatoes, and rutabagas then cooked in an oven to a golden brown color. Beef and Pork are also available for this dish. Lightly salted salmon layered with dill and baked served with a creamy sauce on a bed of rice, with steamed broccoli. A Classic meal, large drumsticks by any standards these brutes are served with a rice blend and “THE sauce”. Tasty little pastries made with fruits & nuts of the season lightly fried and coated with bakers sugar. We take fresh fruit and hand dip them in sweet chocolate, a light but satisfying end to our meals. A one of a kind dessert we hand make chocolate mice and give each one its own little cheesecake before we hand it over to you, to do with as you see fit.